Recently I read the most disturbing Letter to the Editor that I have read in a long time. It was produced by lr Gerard Scheepens. The concerning part was that it was written by someone working for an A.I. company (K.I. Samen) and was published by a dairy publication (Holstein World) trying to pander to those who spend the most money with them instead of thinking about how accurate the letter was. In typical Bullvine fashion we decided to dispel the lies, miss-truths and false publications, so that you, the dedicated breeder, can see through the BS and understand what is actually happening. In the article they make the following comment “Looking at the results of the genomic bulls with daughters in production you can see a devastating truth; nearly all of the bulls drop and drop a lot.” The funny part, but not surprising is that they don’t back up this “devastating truth” with numbers. Having painted a bleak picture, they just provide generalities and expect you to accept them as truth. 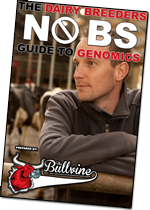 As the Bullvine has published several times in the past (Read more: How Much Can You Trust Genomic Young Sires? and The Truth About Genomic Indexes – “show me” that they work! ), genomically evaluated bulls with 65% reliable gLPIs, breeders can expect 95% of the time that their official proof will be within 670 LPI points (within about 18-20%) (Please note that with change in Canadian LPI formula this number is more like 400 LPI points). This means that we can be 95% sure that the current top gLPI sire, SILVERRIDGE V EXTREME, will be higher than +3173 LPI, once he has his official progeny proven index that is over 90% reliable and that would make him the highest active proven sire in Canada. Yes genomic young sires do on average drop below their original predicted values, but, they are on average still higher than the proven sires of that time. 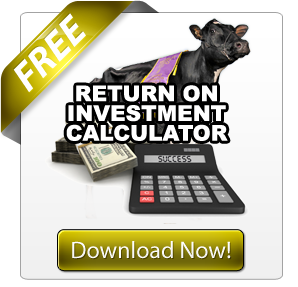 This clearly means that they are a better option than the proven bulls available at that time. It’s called genetic advancement. In the published letter to the editor the author highlights the issue of inbreeding, something that has been an issue for a very long time. The thing is you need to put inbreeding into perspective. First data from the US reported that the current cost of inbreeding over an average cow’s lifetime was US$24. (Read more: INBREEDING: Does Genomics Affect the Balancing Act?) That means that a 1% reduction in progeny inbreeding (valued at around $5 per cow). But what if the genetics of that animal also means that their production will drop $10? Inbreeding needs to be kept in perspective. Inbreeding is only an issue when you don’t manage and account for it. 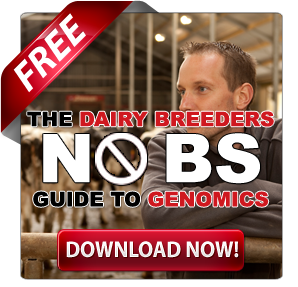 (Read more: 6 Steps to Understanding & Managing Inbreeding in Your Herd and Twenty Things Every Dairy Breeder Should Know About Inbreeding) There are times when certain levels of inbreeding can work well. You just need to understand all the factors. In the article it makes the point that “O Man has 253 sons with daughters tested in the US and only 5 of them score higher than him on Net Merit.” It is funny that for any point you can find one single stat that you might think (or hope) proves your point. In actual fact you need to look at performance over a whole population not case by case. It’s like saying 2% of the population died from the use of penicillin, what about the 98% of the population who are still living as a result of its use? The number of times the author of this article shows an inability to understand bull proofs is a major concern. In the article he makes the following comments “The top 10 NM bulls from August 2009 with daughters had an average of 702 NM. The top 10 NM genomic bulls without daughters had an average of 814. The genomic bulls without daughters had a 14% lead. In April 2013 the average of the bulls with daughter group dropped to 607 around 13.5%. However the genomic group fell to 515 NM which leads to a drop of 37%. Furthermore, the proven group, which was 106 NM behind now leads with 92 points NM. Where is the speed, and where is the progress?” Again there are two main issues here. First can I introduce you to something that is called a base change? Secondly, the author is again using a selective group versus the whole population. 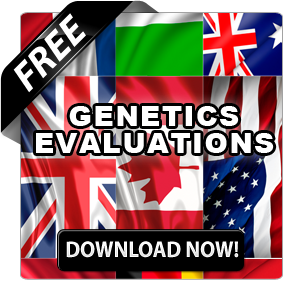 There are published results from across the whole population that shows that the actual rate of genetics advancement has increased rapidly with the use of genomics. Can pigs fly? The author’s point about how cows are not pigs is almost as irrelevant as the price of eggs in Winnipeg. Yes in pigs the female has a larger role in genetic advancement than the female in cattle (Though the use of IVF on top females in dairy cows is quickly changing that). The point the author makes is about how cows need to also reproduce in addition to produce. That is why we have traits like daughter fertility, calving ability, daughter calving ability, calving ease, maternal calving ease, daughter pregnancy rate, sire still birth and daughter still birth. This has nothing to do with genomics. It has to do with which traits we use to evaluate animals. “The new major impact bull always has an original pedigree”, according to the author of the letter. Really? Was Durham that unique (Elton x Chief Mark)? Shottle (Mtoto x Aerostar)? Goldwyn (James x Storm)? Man-O-Man (Justice x Aaron)? I think more time, research and education should be taken by the author. It is much needed before making comments that have no facts to back them up. For about 30 seconds I almost agreed with the author on this one point…then they fell off the rails and I was back to how off the mark this individual is. 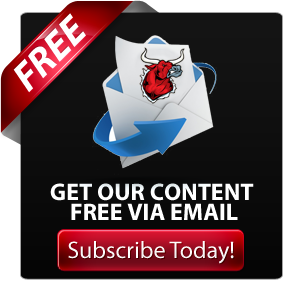 Yes bias is an issue (Read more: Preferential Treatment – The Bull Proof Killer). But then the author’s points fall off the train when he says “The accuracy of the breeding is way too low to take that kind of chance. Accuracy of the proof will become more important than the reliability of the proof.” That logic would then say that we never use an un-proven sire ever again. Then where would our genetic advancement be? How to stop a runaway train? And then the author himself slams the brakes on his own runaway line of reasoning! The author categorically states that as an industry we should “spend the money by improving the animal model, spend on better evaluations, less costly and more effectively.” The simple reply: Isn’t that exactly what genomics is designed to do? And is doing? Since launching the Bullvine we learned one thing, it’s not wise to spread falsehoods or inaccurate information. That is why whenever possible we have always put facts behind our points or when there are no facts available, such as in the case of dairy cattle pictures, we have gone to the effort ourselves so show how things are working. We don’t believe in treating our readers as if they have no brains by publishing falsehoods or misinformation. Instead we believe an educated breeder is the most valuable asset the dairy industry must have at this time. That is why each day we source, write and share the most educational content in the dairy industry. And we back it up with facts!